The Prince Synthetic Gut with Duraflex is now the favourite synthetic gut that offers all round performance. The Prince Synthetic Gut with Duraflex comes complete with handy note stickers featuring space to keep track on time to re-string, string type and tension. 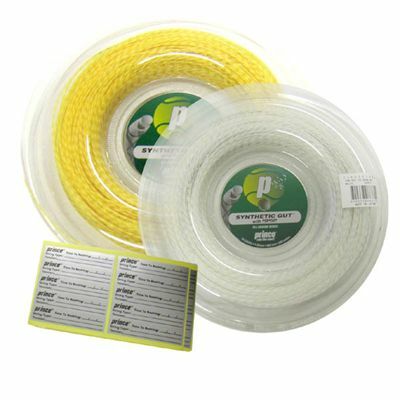 200 metres of 1.30mm string. for submitting product review about Prince Synthetic Gut with Duraflex 200m.